Best of the Best 2009 "The Tammy Taylor Nail Squad"
This week here at my Corporate Headquarters in Irvine, California I had the most Wonderful and Exciting Nail Party. I was able to share 3 whole days with some of the BEST NAIL TECHNICIANS in the world my "Tammy Taylor Nail Squad". They came to California for Re-Certification and to learn about all the New and Exciting things that are happening here at Tammy Taylor Nails. I just loved being around these women with all their enthusiasm, their true passion for nails and for helping others; there was such a comradery we felt like a Sorority. We were able to just talk and talk about nails, clients and business because we all have the same love for nails and we understand each other, and that is what made it the most fun. These 3 days flew by so fast we were crying when it was over because we were already missing each other. The "Tammy Taylor Nail Squad" is a Team of Nail Technicians, Salon Owners and Instructors who work full-time and still take time out of their busy schedule to help others; who are still in nail school, just starting out, or those that are struggling with perfecting their nails or having a hard time building a clientele. To VIEW all of our EXCITING photos click here. Mary has been exclusively Tammy Taylor since 1997. Her passion for the nail industry started at a very young age and was instilled by her Mother, Anna Maria, a Cosmetology Instructor and Salon Owner. One of her fondest memories as a little girl was when a Tammy Taylor Educator visited her home to teach a one-on-one class to her Mother and sister (also a Tammy Taylor Nail Technician). From the moment Mary started as a Nail Technician, she understood the importance of furthering her education. She flew to California and attended a 2-Day Advanced Class by Tammy Taylor herself; from then on Mary was unstoppable. She joined the Tammy Taylor Team and started teaching classes. 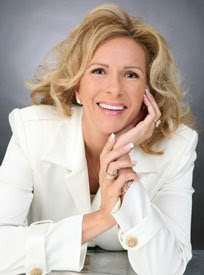 And since 1997, Mary has earned her Bachelor's Degree in Marketing Management and is a Licensed Nail Instructor. As the Director of Education for Tammy Taylor Nails, Inc., her position allows her to help and train other Professionals, Salon Owners, and Instructors throughout the world on a daily basis. If you are interested in taking classes, booking a class for your school, becoming a Tammy Taylor Preferred Salon, or you would like to learn more about becoming part of my Nail Squad: please contact Mary Stokus at education@tammytaylornails.com or contact a member of our "Tammy Taylor Nail Squad" directly by e-mail.